Nodaiwa is a traditional unagi restaurant (grilled freshwater eel) established during the late 18th century in Tokyo. This michelin-star restaurant has 4 locations in Tokyo and one in Paris. Its main location is in Azabu, near Tokyo Tower. The 5th generation chef, KANEMOTO Kanejiro, is running the restaurant. 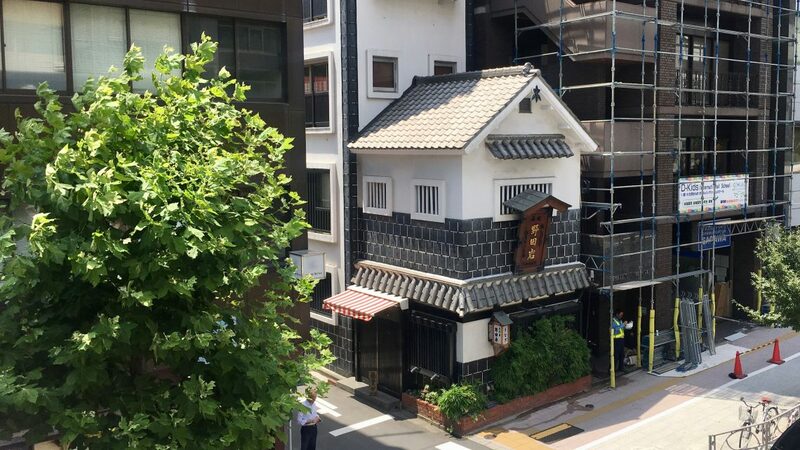 The building in Kamiyacho is an old style kura (storehouse) brought to Tokyo from Takayama in Gifu Prefecture. the restaurant stands out juxtaposed to the tall office buildings around it. 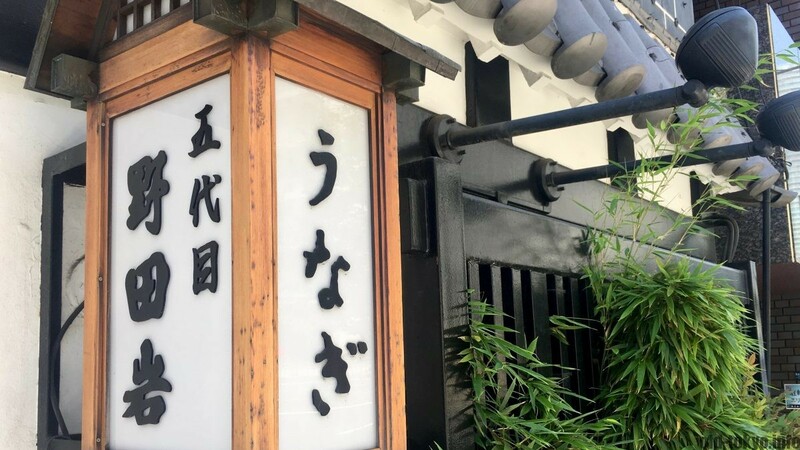 The shop in Azabu dates from the 1970s, but the history of the restaurant goes back 200 years with the first chef opening a restaurant called “Nodaya” (note the different name) in Azabu during the Kansei years (1789-1801). I noticed there are many articles throwing around the year 1850 around as the year of establishment, but I could not verify that year in the Japanese articles I read. The Japanese articles just state late Edo period (1603-1868) or the Kansei years (1789-1801). For me, unagi is one of the major foods inside of Japanese cuisine, next to sushi, tempura, soba, udon and ramen. All of the old shopping streets in Japan, especially temple districts usually have a classic unagi restaurant (for example in Shibamata). It is a food eaten on special occasions and especially popular in summer. Unagi is high in vitamin A, B, E and more. 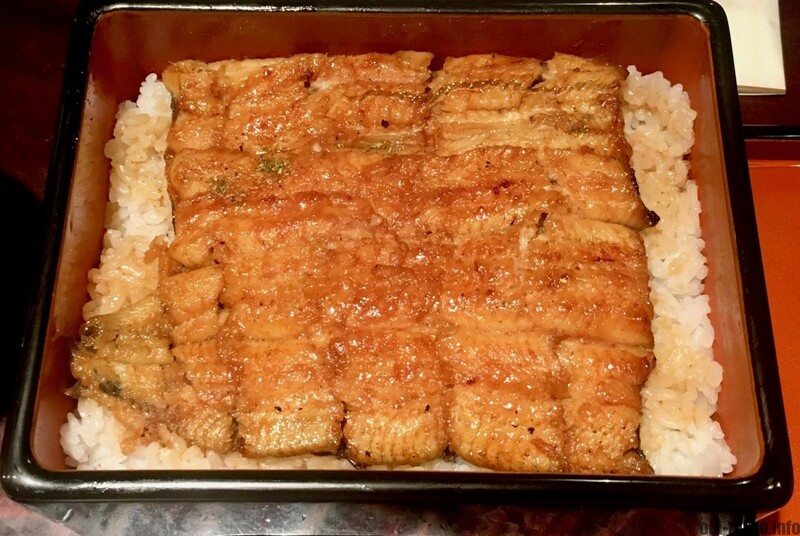 A clever unagi restaurant owner started to market unagi as a power food in summer to gain stamina. He advertised unagi on the Japanese Day of the Ox by using a play of words so it became Day of the Eel (the day of Doyo-ushi). As a result, every person in Japan tells you to eat unagi in summer and in paticular on the day of Doyo-ushi. This day is usually at the end of July, with the second one early August (check the dates at the bottom of this article). At Nodaiwa the unajū is popular as well as its signature shiroyaki. 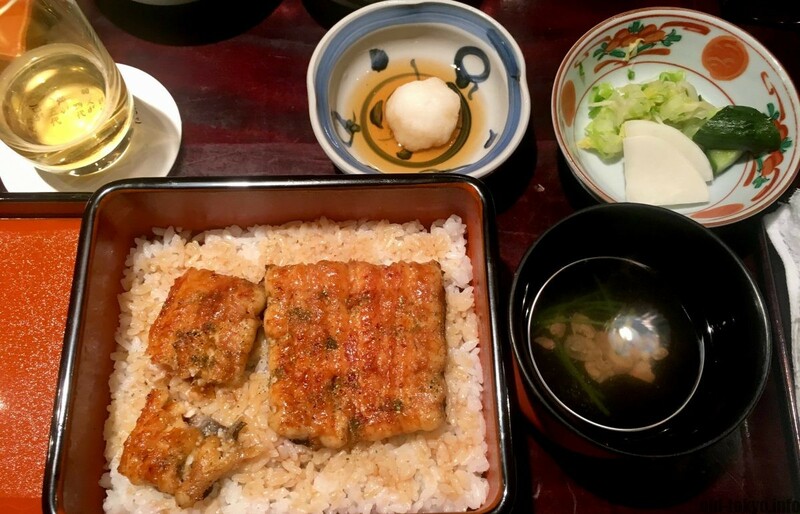 Unajū is the set meal with soysauce flavoured grilled unagi served in a lacquer box together with kimosu soup (a clear type of soup made with unagi liver) and Japanese pickles that balance the deep taste of the unagi. Shiroyaki is grilled without sauce and served with soy sauce and wasabi so you can flavour yourself. What truly makes unagi special for me is sansho (Japanese pepper). This flavouring can be used for a variety of dishes, but it is most famous to be used on unagi. The fresh spicyness of sansho fits extremely well with the rich taste of the unagi. The whole place feels very traditional. The decoration is nicely done and kimono clad ladies serve you and guide you to your table. As the building has very limited seating capacity, they opened another building one street away. When you pass there you often see the kimono ladies walk guests from the main building to the annex. The inside of the annex building is also nicely done, so not to worry if you are taken away after you have waited your turn at the main building. The most important is the taste of the unagi.